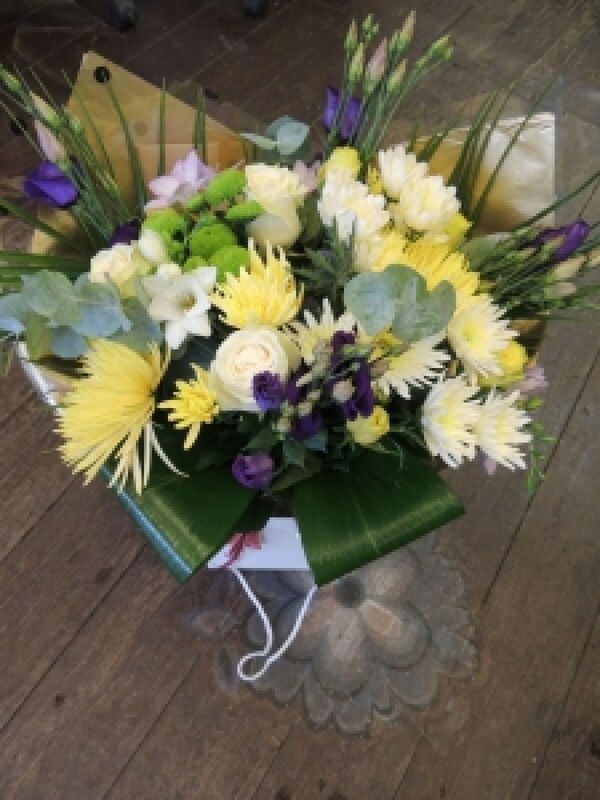 A gorgeous selection of yellows, whites and purples including freesia, chrysanthemum blooms, yellow and white roses, purple lisianthus. In addition are green and white chrysanthemums all surrounded by eucalyptus and aspidistra leaves. This arrangement is truly stunning and full of character ready for that golden anniversary or celebration. All held in an aqua water bubble and finished off with a flower bag to make transportation that little bit easier.